The September issue of Vogue is sitting on my desk right now, taunting me. 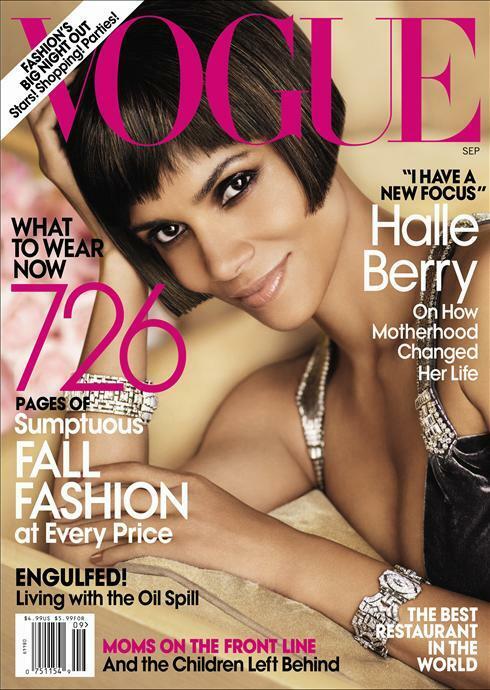 726 Pages of Sumptuous Fall Fashion at Every Price! How could I not want to open it? Yet, I haven't even peeked inside. Number one, I don't think it wise to spend the remainder of my workday thumbing through Vogue, earmarking pages. Call me old-fashioned. Number two, I'm not sure how I'm going to deal with wanting to read this when I just hit the it's-to-the-point-in-the-story-where-I-must-read-for-12-hours-straight-to-finish-it-because-it-just-got-really-crazy-good-exciting part last night in The Girl Who Kicked the Hornet's Nest. I had to force myself to go to bed. And it's competing with Vogue for looming space in the back of my mind. Number three, it's the beginning of the month, and in the beginning of the month, I have a lot of reports to get done at work so I usually work some pretty heavy weeks. And my brain gets worn out. Number four, I got some kind of wild hair you-know-where this weekend and I now want to scrub every last inch of our house with cleaner on my hands and knees, then hose it down to rinse it off, and replace every single item that I had removed and scrubbed clean. I started yesterday, but with that amount of minutia, you don't make it very far. Number five, I'm going to spend every waking second this week stressing out about my clean house and how The Stallion and my punk pups are GETTING. IT. DIRTY. I think I'll follow them around with a sprayer and a towel. And a vacuum. And a dust cloth. And air freshener. Number six, I like to absorb it all in one sitting. 726 sumptuous pages = one long sitting. And summer is gone and the pools are closed. That leaves Sunday for God and Vogue. you crack me up. can't wait to hear about the shopping on saturday night!